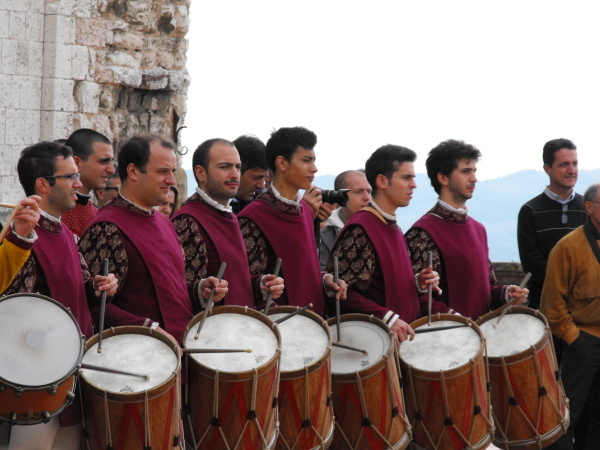 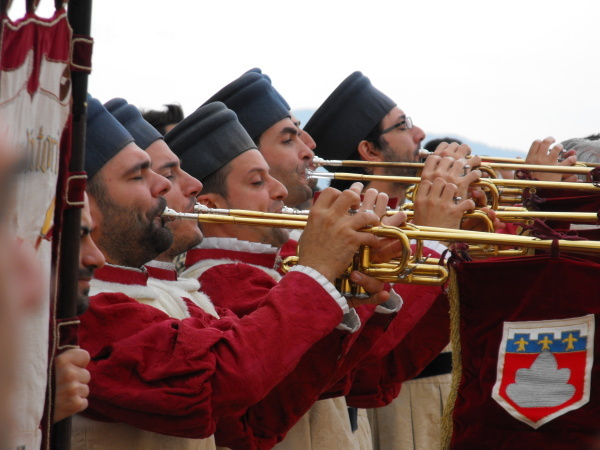 This fall in Gubbio we hear trumpets blaring high above us. 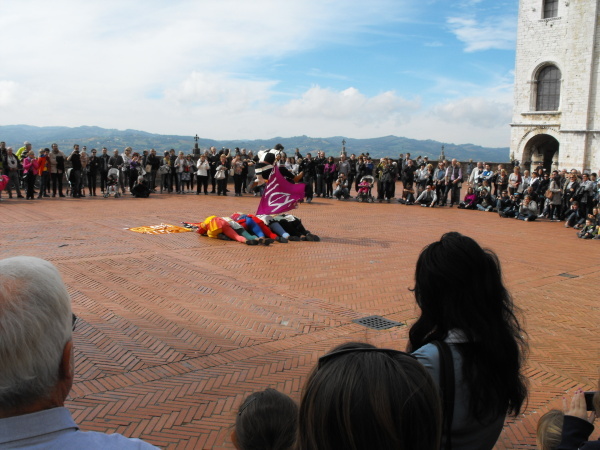 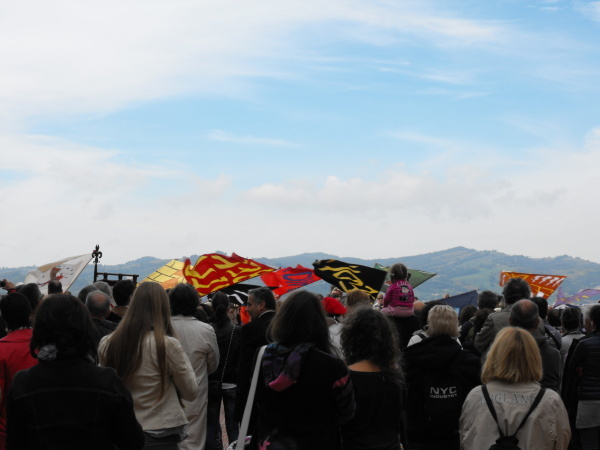 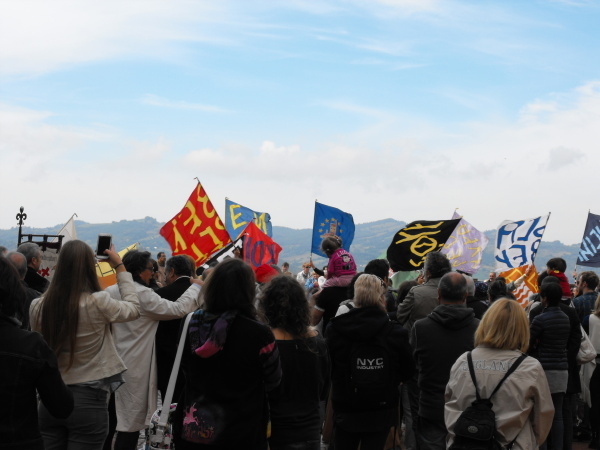 We worked our way up the hill to the main piazza to discover a flag throwing event going on. 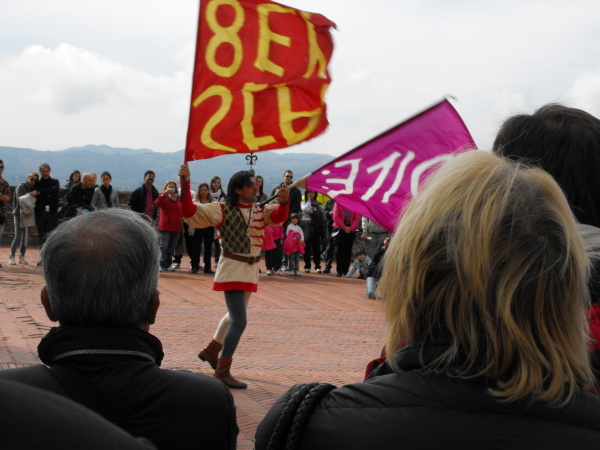 We have seen this in Orvieto, but it was fun to see it here as well. 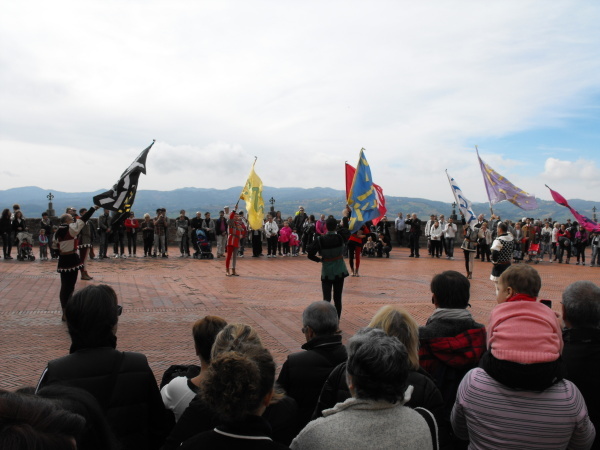 So many fun festivals in Italian towns! 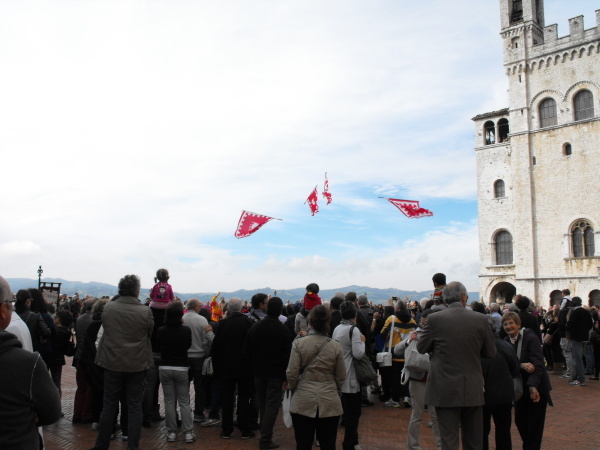 Jumping over successively long lines of flag throwers. 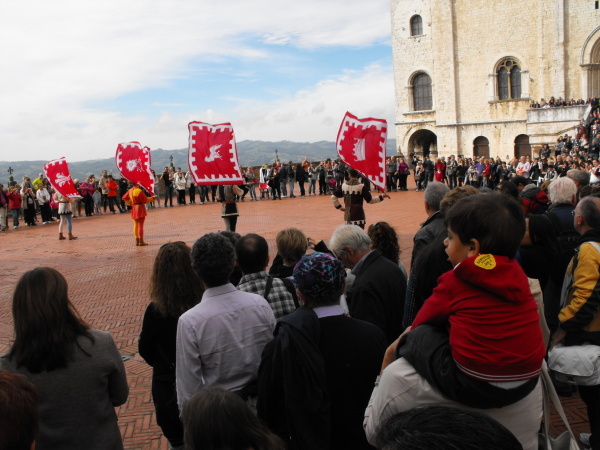 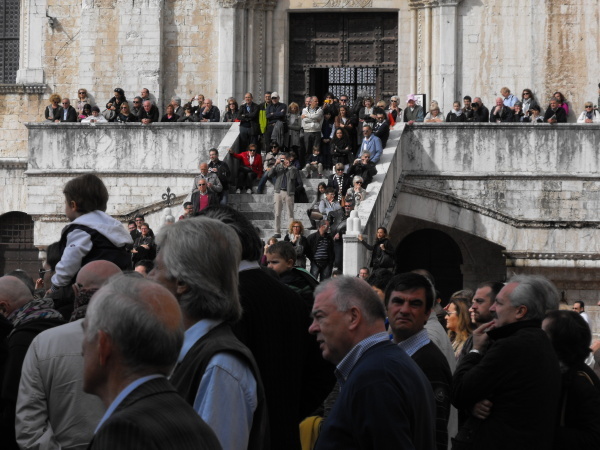 It seems we always run into some kind of festival when traveling – part of the charm of Italy.